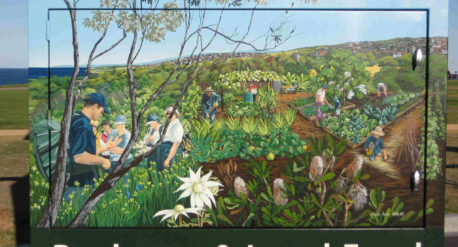 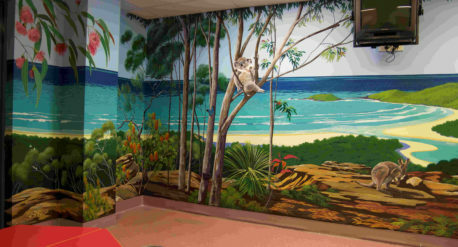 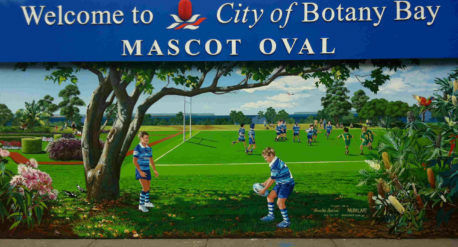 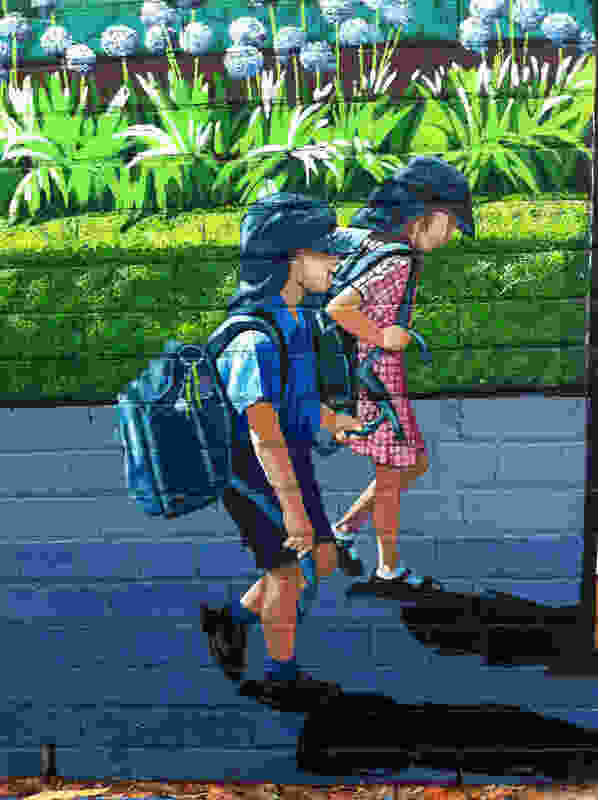 St Marks Catholic School along with Canada Bay Council and Drummoyne Public School, commissioned this unique mural where historical buildings,natural landscapes and the local residents are featured. 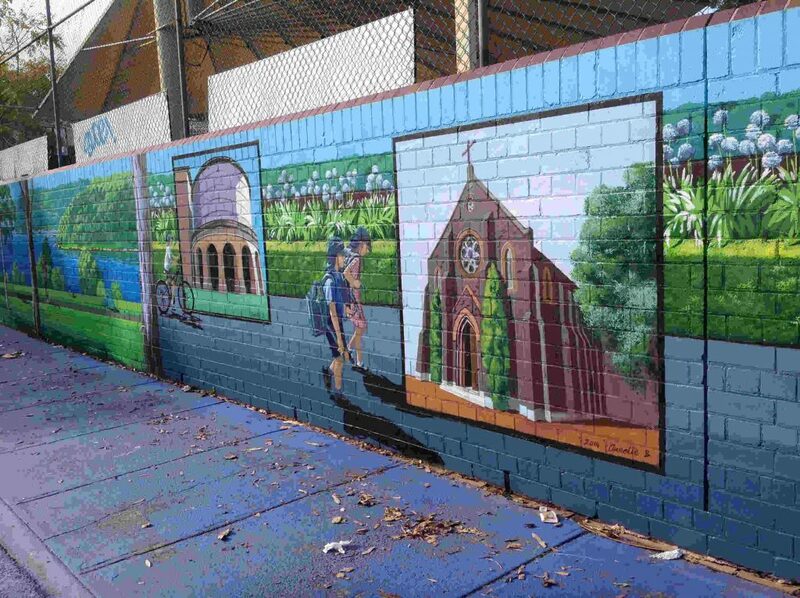 Annette also gave many of the students and parents a chance to work with her to create the mural in South Street play area. 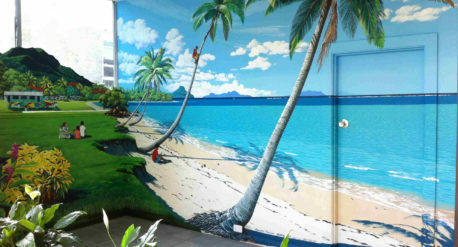 The students were very excited at the opportunity to be involved and actually do some of the painting and learn a bit about the art process.